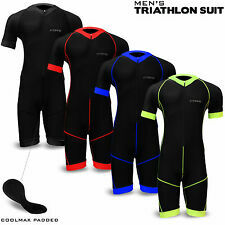 2XU duathlon/triathlon suit in good used condition, there are small yellow marks on front &back (details shown on photos) ! Inseam: 22 CM. Always first use ! (you will receive what you see on the photos) ! Mens Golfing Long Tights Black, Skins, Size XL, 400series. Condition is New with tags. Dispatched with Royal Mail 2nd Class. Mo Farah 2018 London Marathon Nike Pro Elite Singlet size small. Dispatched with Royal Mail 1st Class. Perfect condition, never worn. 2XU duathlon/triathlon suit in very good used condition (details shown on photos) ! Pit to pit (elastic): 40 CM - 56 CM. Always first use ! (you will receive what you see on the photos) ! Mens Running Clothes - Size medium (leggings, long sleeve tops & gloves). Condition is Used, some wear to the Black long sleeve top around wrist area. Plenty of wear left in all items. HUUB core Tri Suit. Front zip.Size large. Fantastic condition only worn once. Ordered wrong size. RIP £106 wiggle.com HUUB description: Whether you’re just out training or taking on the thrills and terrors of an Iron Man, the Core Tri Suit from HUUB has got you covered. Keep cool in the height of summer thanks to the moisture-wicking and cooling Coldblack® tech, which also gives you UV protection up to factor 50, while its outer face offers less weight and less friction than ever before. 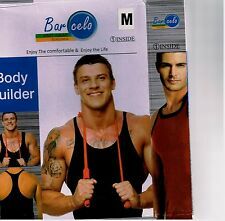 Men’s Lycra body suit, size large. Mens white Bodymax gym vest size L by M & S. New without tags. Dispatched with Royal Mail 2nd Class. Runderwear Mens Brief M. Unwanted gift. Condition is New with tags. Dispatched with Royal Mail 2nd Class. 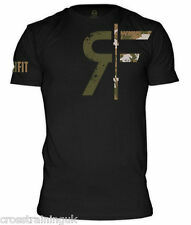 Ideal Gym / fitness / sports wear! Karrimor Running Outfit Jacket And Trousers. Excellent condition. Jacket size small. Trousers size medium. Jacket is more like a medium fit though and measures 20” arm pit to arm pit (see pic). Reflective detailing on both jacket and trousers. Zips at bottom of trousers and back zipped pocket. Jacket has zipped side pockets and vents across the back. All zips working. No damage, rips or tears. Free postage or collection available.